Thurmaston is 4 miles north of Leicester and 9 miles south of Loughborough. No nonconformists were recorded in Thurmaston in 1676. Frances Lane’s ‘building’ was licensed for dissenting worship in 1791, but the denomination is not recorded. 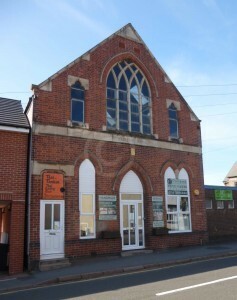 A Wesleyan chapel was built in the village in 1792, and licensed for worship in 1793. The 1829 Meeting House return showed that there were 30 ‘Methodists’ whose sect was unspecified meeting in Thurmaston. As the ‘Ranters’ were specified separately, these were probably Wesleyans. 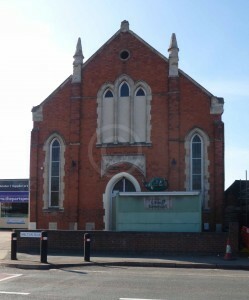 In 1851 the Wesleyan chapel was recorded as having 86 free and 77 other seats. Only one service was held on Sunday 30 March that year, in the afternoon, which was attended by 45 worshippers. A Wesleyan Sunday school had existed since at least 1846. It met twice on 30 March 1851, with 105 people attending in the afternoon and 93 in the evening. In 1829 it was recorded that there was a congregation of 25 ‘Ranters’ meeting. A Primitive Methodist Chapel was built in 1833. Afternoon and evening services were held by the minister on Sunday 30 March 1851, attended by 51 and 126 worshippers respectively. The usual attendance at these services was 70 and 140 people. There was also a public meeting for prayer at 7 am., usually attended by around 8 people, and another prayer meeting after the evening service, generally attended by around 30 people. The Sunday School met in the morning and afternoon, with 54 Sunday scholars present that morning, reducing to 52 in the afternoon. 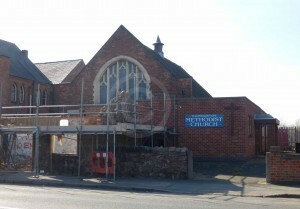 The two churches combined and built a single new chapel, Thurmaston Methodist church.